Hot asphalt. Sharp objects. Loud machinery. Harmful fumes. Distracted drivers. These hazards and many others can turn the workplace into a danger zone for transportation workers. 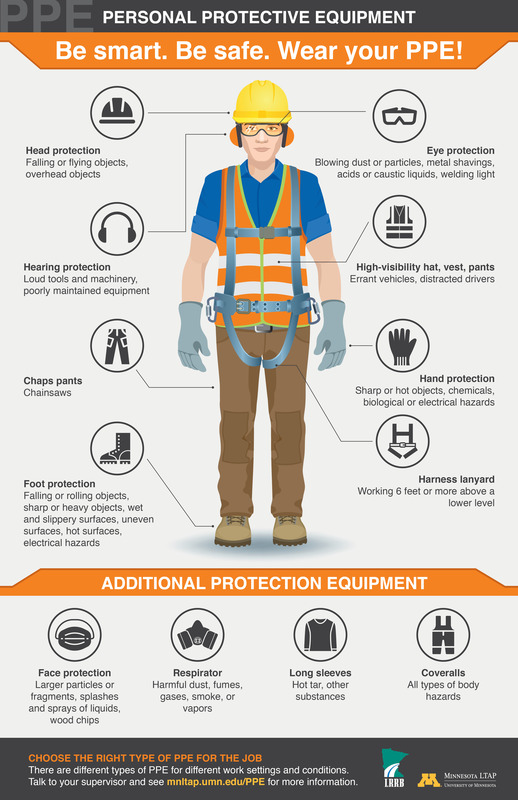 Personal protective equipment, or PPE, is one way to protect workers from serious workplace injuries or illnesses resulting from physical, electrical, mechanical, chemical, or other workplace hazards. 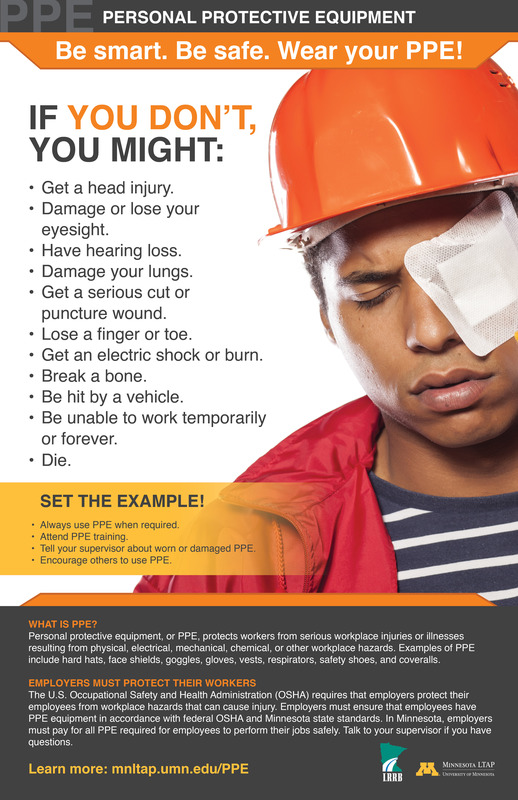 Examples of PPE include hard hats, face shields, goggles, gloves, vests, respirators, safety shoes, and coveralls. 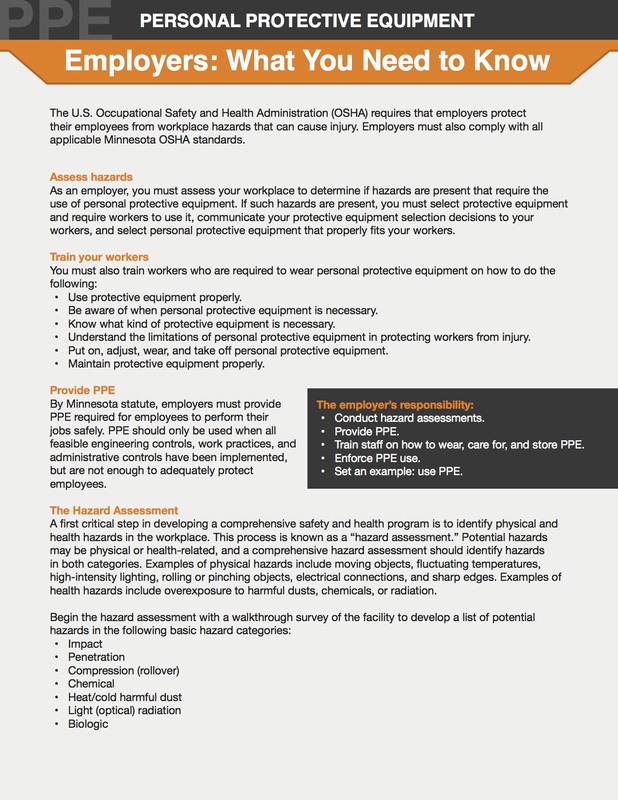 A project sponsored by the Minnesota Local Road Research Board has created a set of materials to raise awareness of workplace hazards and encourage the proper use of PPE. 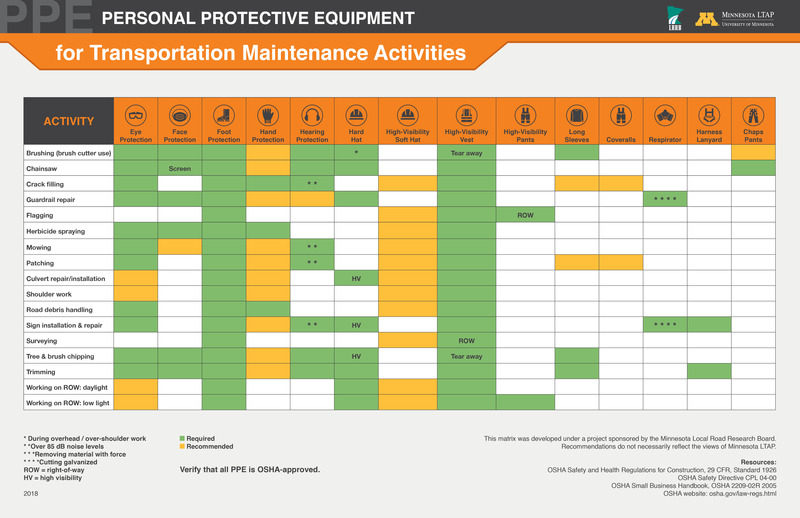 The materials—three posters, a fact sheet, and a web page—are customized for Minnesota and targeted to local transportation agencies. The new materials were created under the guidance of a technical advisory panel led by John Brunkhorst, county engineer/public works director of McLeod County. Supervisors and managers must assess workplace safety. If they cannot eliminate hazards through engineering, work practice, or administrative changes, they must provide PPE as the last resort. 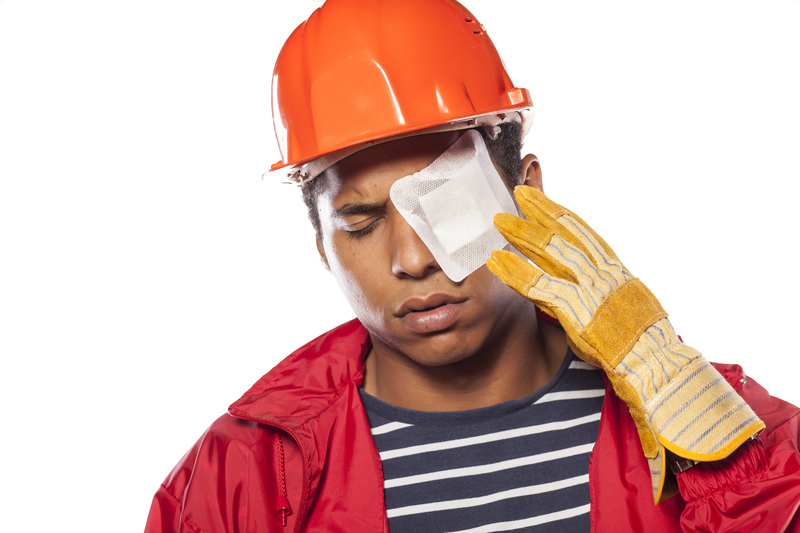 Maintenance workers should use PPE as required to reduce injuries and fatalities. The new materials—three posters and a fact sheet—make the case for safety in a concise, visual format. Agencies are encouraged to display the posters in their shops, lunch rooms, and other work areas. All the materials are available for free download at mnltap.umn.edu/PPE. The site also includes links to source materials, state and federal policies, and other materials.